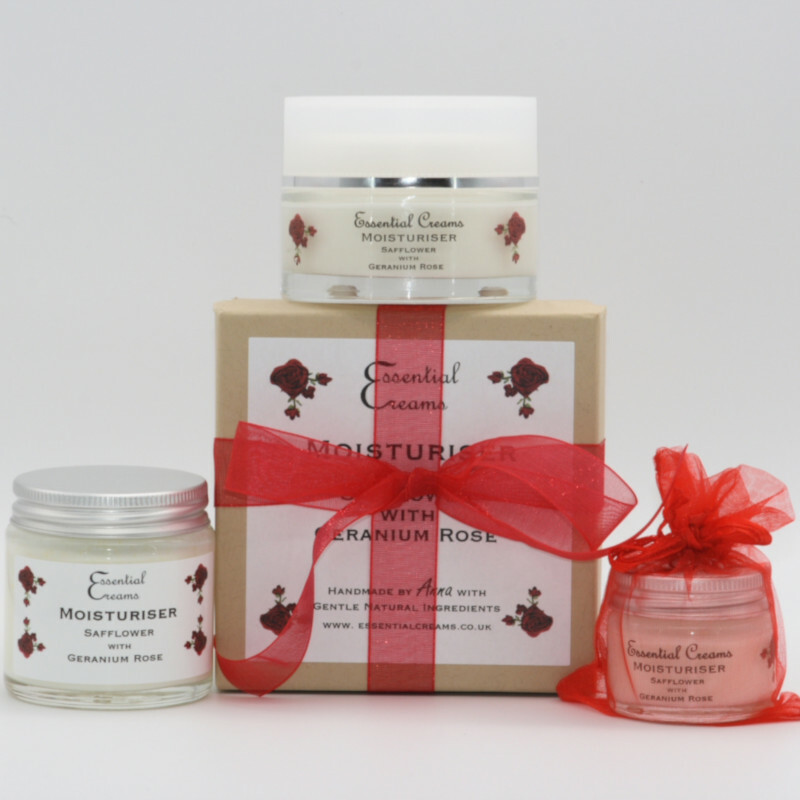 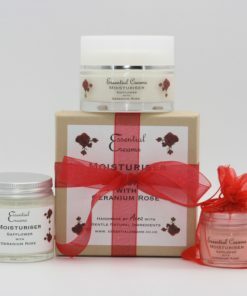 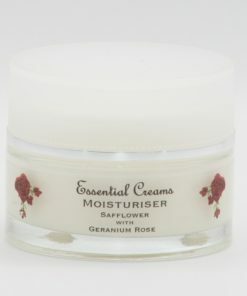 Made with luscious soothing Safflower oil, and Geranium Rose make a lovely hydrating cream full of antioxidants. 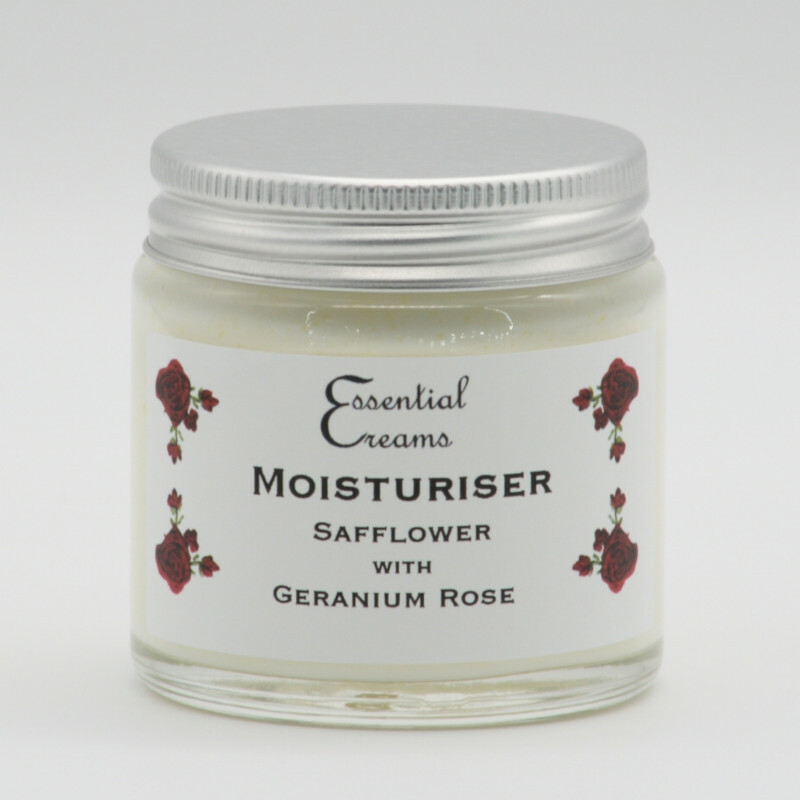 Easily absorbed, full of beneficial oils and butters for the skin. 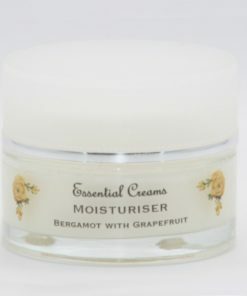 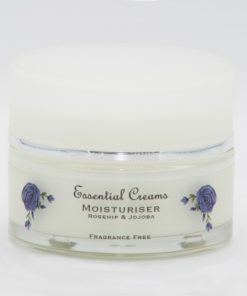 A good moisturiser for those who tend towards a dry skin, deeply moisturising and replenishing. 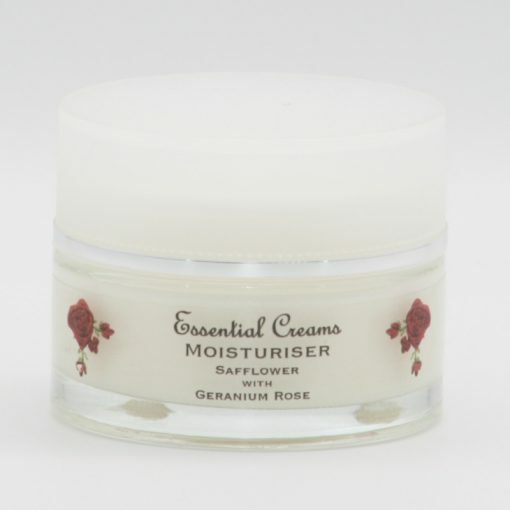 With pure essential oils of Neroli, Geranium Rose and Rosewood give the cream a subtle uplifting aroma. 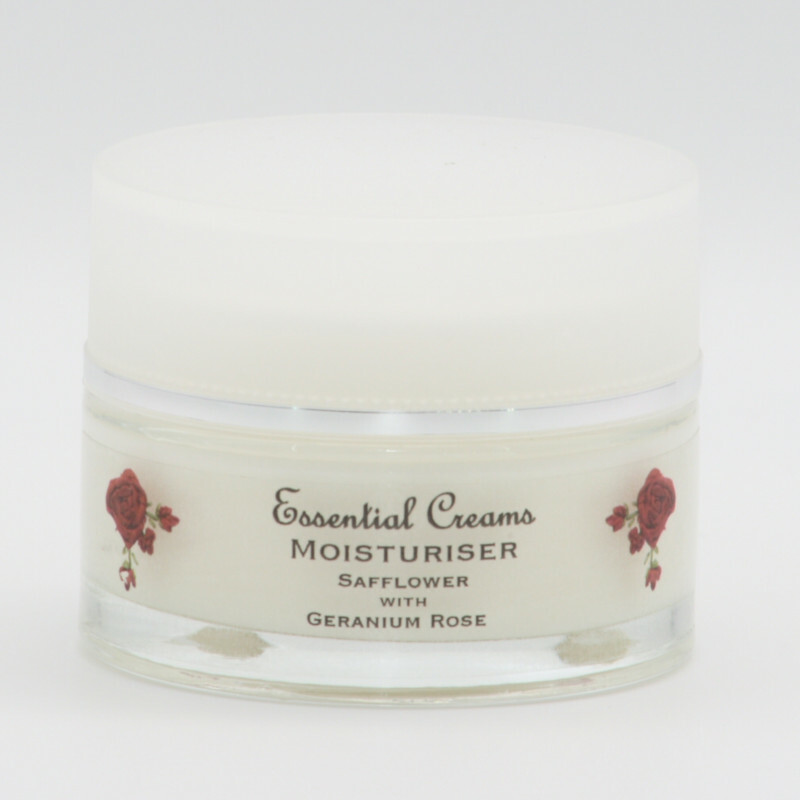 Hihighly moisturising and hydrating cream with Safflower and delightful floral Geranium Rose, combine with pure essential oils of Neroli and a touch of Lavender give the cream a lovely subtle uplifting floral aroma. 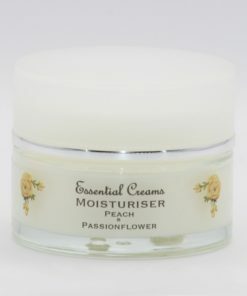 I love the moisturiser, I took a tiny pot to India, and it has been wonderful. 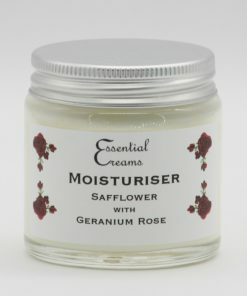 My skin feels great despite all the air conditioning, and the occasional waft of the lovely gentle fragrance was so uplifting.